I received my cards back from SCN's "Deano", who attended the St. Louis Sports Collectors show this past weekend. 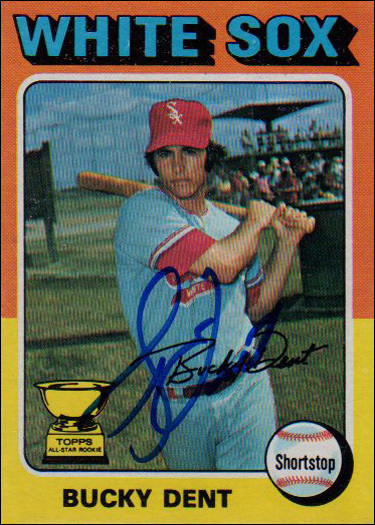 Amongst the goodies I received was Bucky Dent's 1974 Topps rookie card. 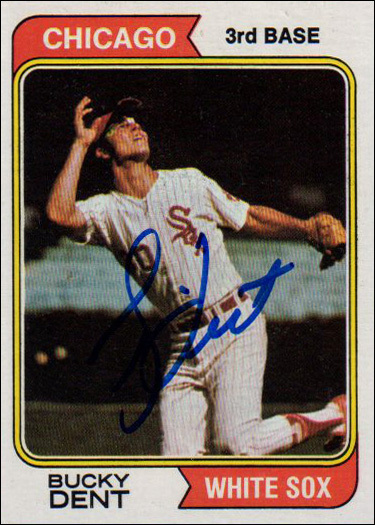 I also got Dent's 1974 Topps, two Royce Claytons, and 2 Ron LeFlores. Thanks for the help Dean! 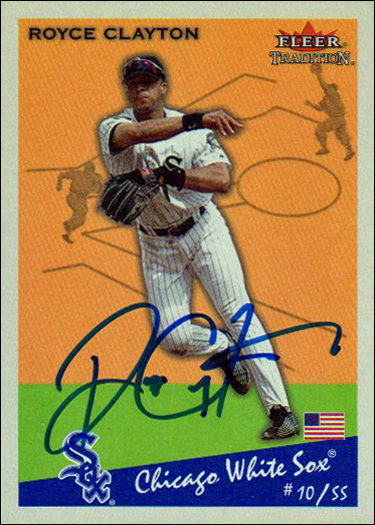 It has been a while since I've made any progress on Project Rookie Card. I've made a very nice addition this week. 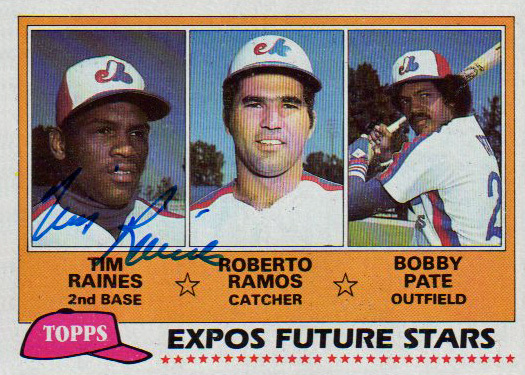 I'm very happy to cross Tim Raines off of the wantlist. 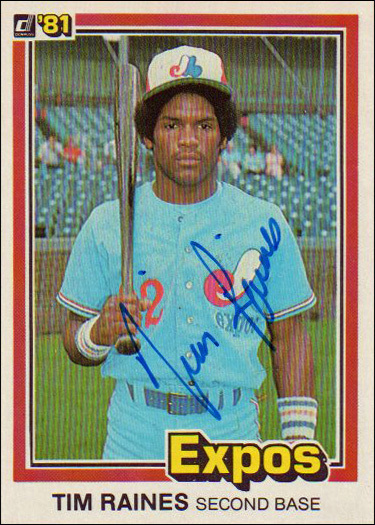 He was the only player I would consider a "favorite" that I didn't have a signed rookie card. Now I have both of his rookie cards signed! These came from Chris Rifon, my trader in the Atlantic League. Thanks Chris!